All the great songs, the harmony voices, the look (modern or 70s / 80s style), the mannerisms and the dry humour; all are faithfully re-created. 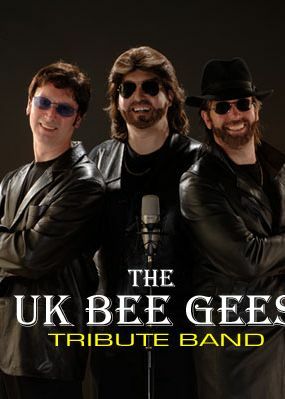 From the first opening song of ‘You Should Be Dancing’, all the way through the romantic ballads such as ‘How Deep Is Your Love’ and finally into the fantastic disco film tracks such as ‘Night Fever’ and ‘Stayin’ Alive’, you can be forgiven for thinking that the real Bee Gees are there with you. The show is available as the main trio on playback (with live keyboards and guitar) or add a drummer / other additional musicians, up to a full band. Great P.A. & lighting is available and as this is modular (depending upon venue size) no job is too big or small. To hear their sound or for more pics go to their Agent Friendly Website NOW !